I know I can change the default theme on my BlackBerry 8700 from the start. But it was until someone asked me about how to get free themes for his T-Mobile 8700, I started to play with various new themes for the phone. One of the first try was of course the Smoothie theme for BlackBerry 8700. You can go to mobile.blackberry.com to download it and you can go there directly from BlackBerry menu: Option – Theme – Download Themes. I recommend you also download this smoothie theme to get yourself familiar with changing themes for your BlackBerry 8700. One thing to remember is that the battery indicator from the smoothie BlackBerry 8700 theme does not give you accurate reading. Be sure to charge your BlackBerry phone frequently. Here are a couple of the BlackBerry 8700 themes I found on the internet. 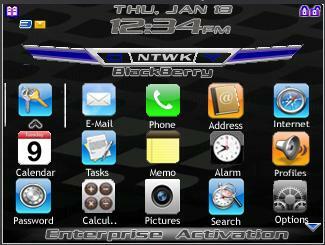 BlackBerry 8703e themes should be same thing but I personally have not tried. BlackBerry 8700c and 8700g can use the same theme without problem. 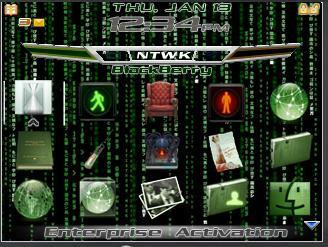 To download these themes, just enter the short urls into your BlackBerry web browser.